Here is some very exciting filmi news! On this auspicious occasion of Mr. Yash Chopra’s birth anniversary Yash Raj Films has proudly announced that Hrithik Roshan and Tiger Shroff will be starring together for the first time in a thrilling action film. The untitled film will be directed by Siddharth Anand and will begin shooting in April 2018. Hrithik Roshan returns to YRF after 11 years post the blockbuster Dhoom:2, while this is Tiger Shroff’s first film with YRF. Siddharth Anand who began his career with YRF returns back home to present both these superstars in a slick contemporary action film. Not only can we expect some epic action scenes but since both Hrithik and Tiger are considered the best dancers in Bollywood and we imagine and really hope that there will be some incredible dance sequences! Now sadly the film is not scheduled to release until 25th January, 2019. Yes, 2019 so we have a long wait but we certainly look forward to all the previews and to the see the story come to life on screen! 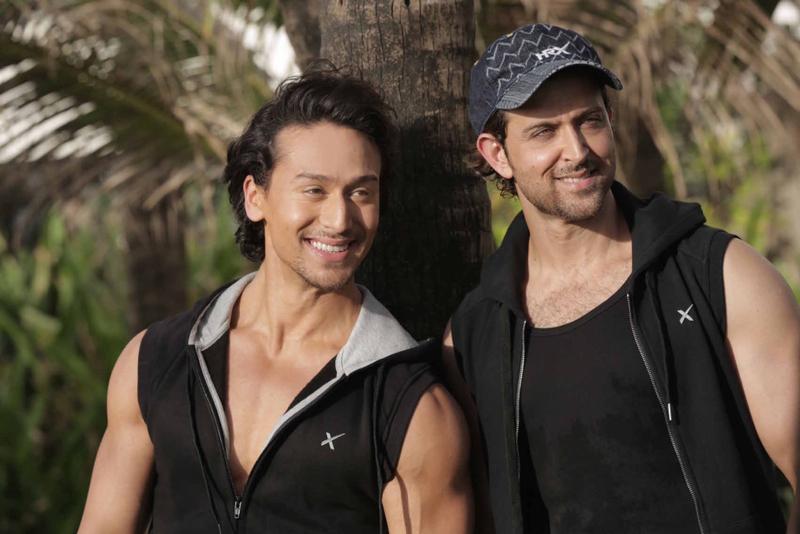 We can’t wait for Hrithik versus Tiger! YRF certainly brought a smile to fans everywhere! What a perfect way to celebrate Mr. Yash Chopra. Watch this space for all the news!